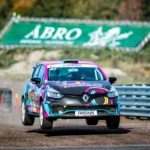 New Zealand driver Sloan Cox completed the fifth and final event of his debut international rallycross season with third place in the RX Academy final at the Tierps Arena in Sweden on 7 October. Although it wasn’t quite the way Cox would have liked to step up on the podium – placings from the crash-marred, red-flagged final race were decided.. 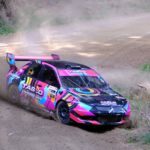 It wasn’t exactly the weekend Rotorua’s Sloan Cox hoped for at the Ashley Forest Rallysprint, having been unable to progress past the top 32 competitors, but his record of 54.96 seconds on the 1.7km course couldn’t be beaten by the new winner Alistair McRae. The 22-23 September event in the Ashley Forest near Rangiora in north Canterbury is run by..